India’s only service providing listed capital & daily updates to capital changes. 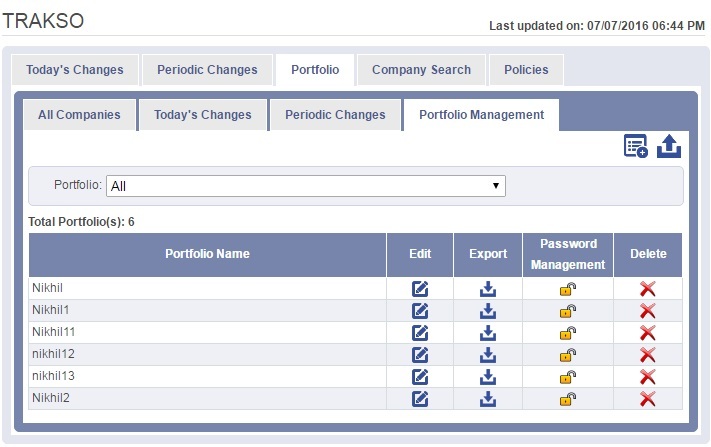 TRAKSO helps in monitoring & administration of portfolio investment limits in companies specified by regulators. 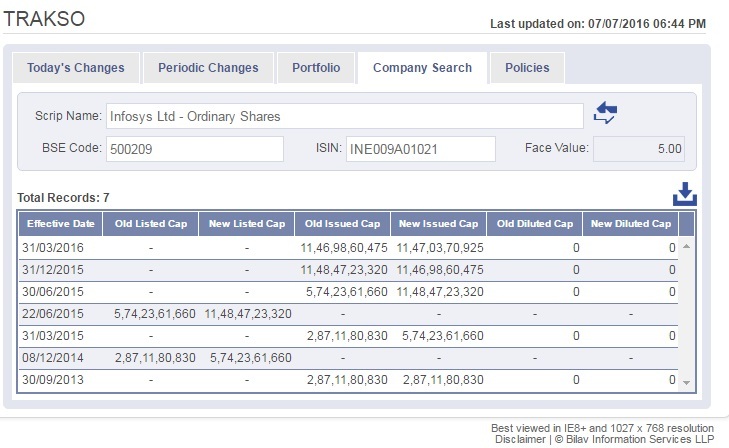 TRAKSO provides information regarding number ISSUED & LISTED Shares on BSE for companies listed on the Bombay Stock Exchange (BSE). 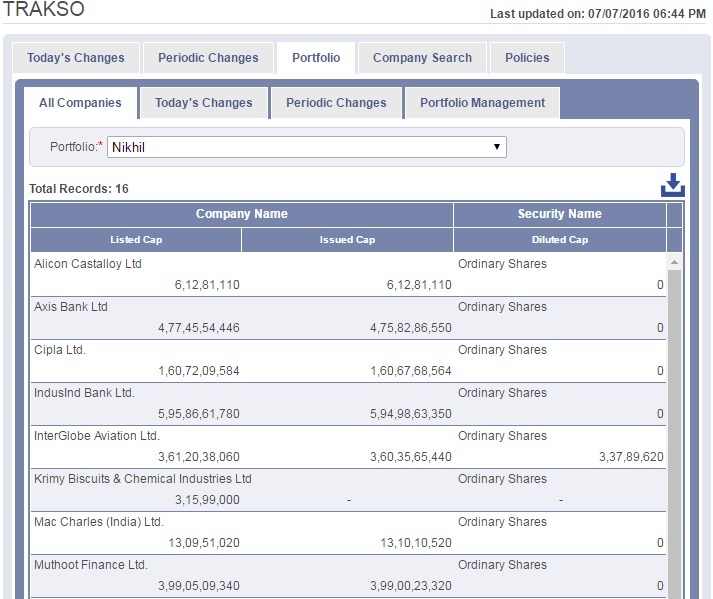 Portfolio feature of TRAKSO keeps track of breach in ceiling of investment limit for multiple portfolios. Face value changes on account of Subdivision, Consolidation and Capital Reduction. Corporate actions like Merger, De-merger & Buyback. 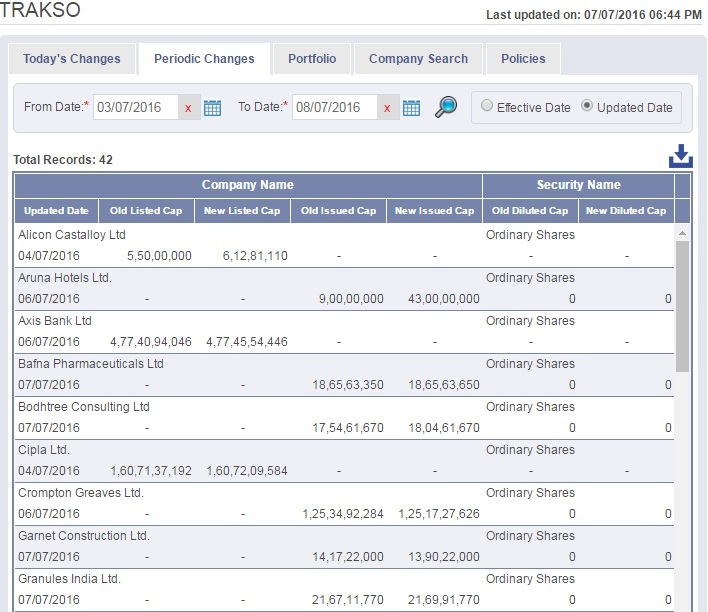 ESOP’s, Debenture Conversion, Warrant Exchanges FCB Conversion, etc. Daily updates for shares in issue. Historic data for 3 years. 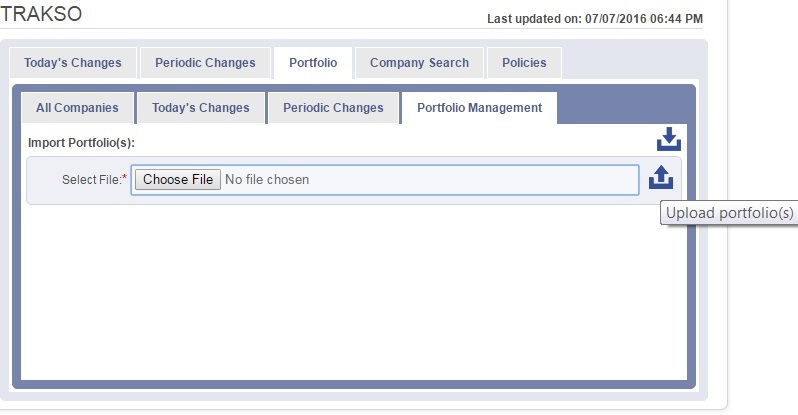 Portfolio feature to track of chosen securities in the portfolio breaching the investment threshold limit. 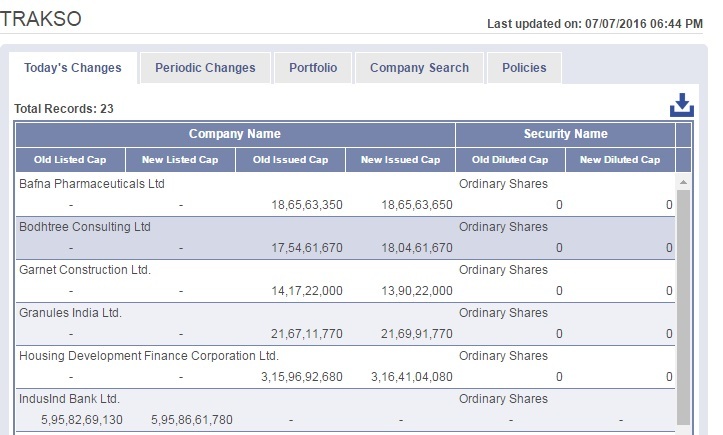 Changes in listed shares for portfolio. Historic listed shares outstanding changes for a company.